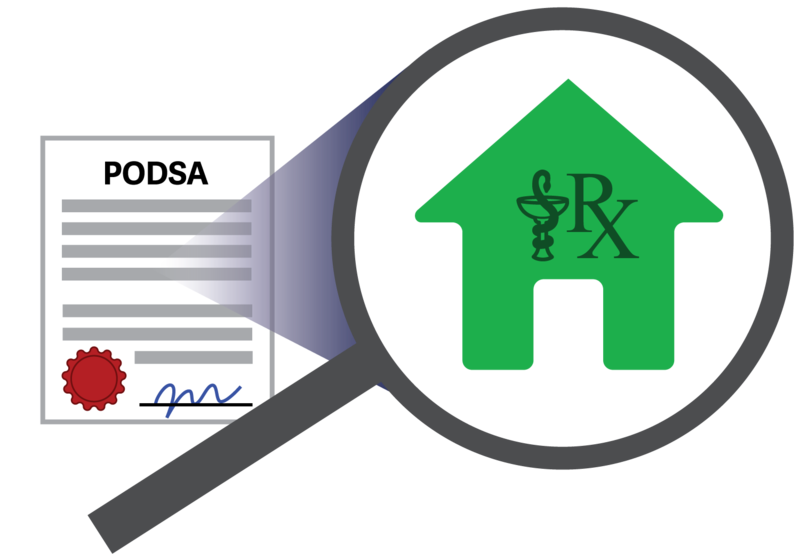 Under the new pharmacy ownership requirements, the direct owner of a pharmacy is responsible for reporting a change of manager, while the manager continues to be responsible for reporting any changes to pharmacists or pharmacy technicians employed at the pharmacy. All pharmacy professionals are also required to report any changes to their employment information. Under section 6(1)(a) of the Pharmacy Operations and Drug Scheduling Act, a pharmacy licence is cancelled when the manager of the pharmacy changes. A pharmacy must have a manager, and any new manager must meet the eligibility criteria for a pharmacy licence before a new one can be issued. An authorized representative must notify the College by submitting a Change of Manager application no later than 7 days before the current manager leaves their position. This is done online through the Pharmacy Portal on eServices. The proposed manager will then have to submit Proof of Eligibility as soon as possible to allow time for the College to process a Criminal Record History before the effective date of change. Submission of a Criminal Record History is not required if the proposed manager has already submitted a Criminal Record History to the College in the previous 5 years. When a Criminal Record History is required as part of a proposed manager’s Proof of Eligibility, they will need submit it at least 7 days before the effective date of change to ensure the College has enough time to process the application. If a proposed manager’s Proof of Eligibility has not been processed and completed by the effective date of change, the pharmacy may be required to close temporarily. In the event that the resignation of a manager is effective immediately, contact the licensure department as soon as possible. One of the pharmacist directors may have to be appointed temporarily as manager until a new manager is hired/appointed. Once the Change of Manager application has been approved by the College, a new pharmacy licence will be available through the Pharmacy Portal on eServices on the effective date of change. After a Change of Manager application has been submitted and approved the proposed manager will receive an email from the College with instructions on how to submit Proof of Eligibility, including how to provide a Criminal Record History. Submission of a Criminal Record History is not required if the proposed manager has already submitted a Criminal Record History to the College in the previous 5 years. The College will provide the proposed manager with a dedicated link to complete a Criminal Record History through Sterling Talent Solutions. Please do not complete a Criminal Record History before receiving access (and a unique web link) from the College. Proof of Eligibility should be completed as soon as possible. The College requires up to 7 days to complete a Criminal Record History. The new manager will also need to update their employment information under the My Profile tab in eServices on the effective date of change. Under section 18(2)(o) of the Pharmacy Operations and Drug Scheduling Act bylaws, the current pharmacy manager must notify the registrar in writing by emailing the licensure department at licensure@bcpharmacists.org within 48 hours of ceasing to be the pharmacy’s manager. Pharmacy managers must also update their employment information to reflect the role change on the effective date of change. This is completed under the My Profile tab within eServices. All registrants must keep their employment information up-to-date through eServices. Pharmacy managers are responsible for notifying the College of any changes to the registrants under their employment. To help make these changes easier to report, the College launched a new employment section and pharmacy staff roster in December 2017. The new employment section on eServices synchronizes the employment information you provide as a registrant with the pharmacy staff roster of your place of practice (if your place of practice is a licensed pharmacy). The pharmacy staff roster – available through the Pharmacy Portal in eServices – allows pharmacy managers to officially notify the registrar of appointments and resignations, as they occur, for registrants under their employment as required under section 18(2)(c) of the Pharmacy Operations and Drug Scheduling Act bylaws. Pharmacy managers are also able to use their staff roster to track the expiration date of each employees’ College registration. This allows them to ensure that all pharmacy professionals under their employment are practicing with a valid registration. Pharmacy managers are encouraged to review their pharmacy roster on a regular basis to ensure that it is accurate and up-to-date. Pharmacy staff will be notified of any changes made to their employment information within the pharmacy roster. Under section 54(2) of the Health Professions Act bylaws, all pharmacy professionals registered in BC must notify the College of any changes to their information, including name, address, phone number, email and employment information. As a result, when a registrants starts or ends employment with a place where they practice pharmacy, they must update their employment information accordingly. These changes are completed through the employment section under the My Profile tab in eServices. If your place of practice is a licensed pharmacy, the pharmacy manager will be notified of any changes made to your employment information in eServices.